Looking to make a pair of darling DIY earrings with an extra bit of sparkle? Download this FREE eBook and learn how to craft homemade earrings that fit any sense of style! 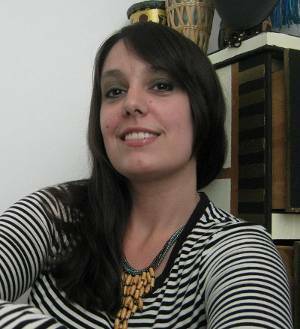 Mortira is a self-taught beader and jewelry designer. Her bead journey began sometime before age 10 with simple bead embroidery projects, like a felt coin purse with beaded cherries. From there, she dabbled with the usual suspects - macramé friendship bracelets, pony beads, wire wrapping, and even hot glue. Over the years, her obsession with beads grew, evolved, and finally came to a boiling point when she discovered off-loom bead weaving in 2006. It was love at first sight. With a focus on glass and natural materials, Mortira searches for ways to combine ancient and primitive themes with modern materials and beadwork techniques, while constantly striving to make pieces that are sustainably and ethically sourced. In addition to creating jewelry, she also enjoys sharing ideas, techniques, and all the trials and triumphs of beadwork with other beaders and jewelry lovers. Her Inspirational Beading blog began as a creative outlet and has evolved into a place where artists can discover new ways to combine materials, colors, and techniques. Holy cow, wow and about a dozen more exclamation words! This is one extremely busy, talented and generous lady. Check out her site. She has dozens of free tutorials. All are very well written and very easy to follow. You can make up an entire jewelry wardrobe just from her projects.